You'll be £11.99 closer to your next £10.00 credit when you purchase Fallschirmjäger: German Paratroopers - 1942–1945. What's this? As elite troops, the German Fallschirmjäger (paratroopers) were regularly engaged in front line combat during the Second World War. Their famed actions such as the fighting in Scandinavia, the taking of the Belgian fortress Eden-Emal in May 1940, and the Battle for Crete just a year later, have given them the reputation of being determined, courageous and loyal soldiers. 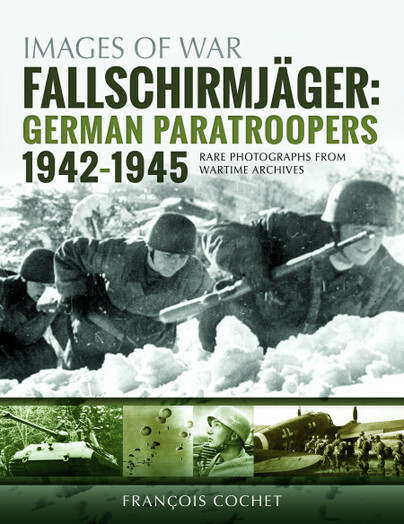 This book continues the pictorial history of the Fallschirmjäger, focusing on the period following the bloody Battle for Crete. Used as elite infantry, first in the USSR and then in Africa, the Fallschirmjäger were able to reconnect with their glorious past, whether in Italy or on the Greek Islands, as they jumped from their Ju 52s to engage the enemy. Their hard fighting in Italy helped to cement the legend of 'the Green Devils', with the British General Harold Alexander describing them as 'tenacious, highly-trained men, hardened by their many actions and combats'. However, during the fighting in Normandy, the Ardennes and on the Eastern Front, the number of veterans decreased, meaning it was the young German paratroopers who finally surrendered the III Reich on 8 May 1945. François Cochet is a Belgian author whose main interest lies in the battles of the Second World War. Over the last 80 years he has met and interviewed many German ex-soldiers of the Wehrmacht and collected various memorabilia and documents. He enjoys helping others research this particular period, and this is his second image-based book. He currently lives in Flanders.